Dating back to 1946, wheelchair basketball was played primarily between American WWII disabled veterans, originally at University of Illinois. 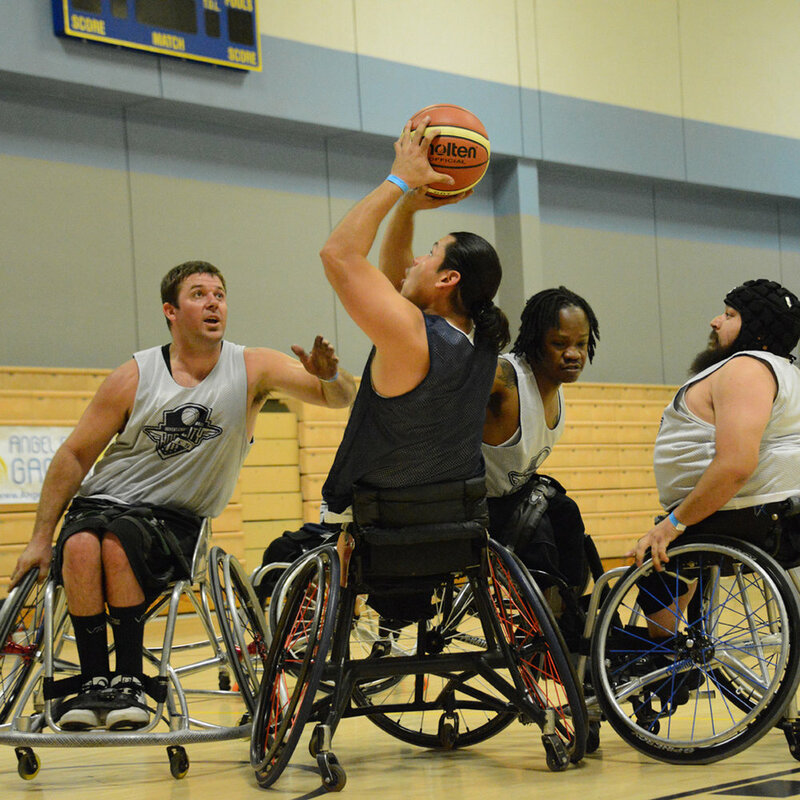 The National Wheelchair Basketball Association (NWBA) formed in 1949 and now there are 200+ teams across the USA. Wheelchair basketball is basketball played by people with varying physical disabilities that disqualify them from playing an able-bodied sport, ranging from spina bifida, birth impairments, cerebral palsy, paralysis due to accident, amputations (of the legs, or other parts), and many other disabilities. It's estimated that over 100,000 people play wheelchair basketball from recreation to club play and as elite national team members.